In The Musician’s Way, I encourage the singing of solfège syllables, scale-degree numbers, counting syllables, and letter names as part of the process of learning, memorizing, and interpreting music. In my own teaching and playing, I employ the fixed-do solfège system, and I’d like to offer some reasons why. First, if you clicked on this article, I assume that you know what solfège syllables are, how they’re used, and what the differences are between the fixed and movable-do systems. 1. In much of the world, pitches are labeled with fixed-do solfège syllables and not letters (e.g., in Russia, East Asia, Europe, and Latin America). Hence, movable-do can cause profound confusion to anyone who grew up singing fixed-do. As an illustration, envision an American violinist arriving at an alien conservatory and having to use movable letters, where “C” is always the name given to the first scale degree. Her low string would be G when playing in the key of C, but that string would change names in other keys, becoming D when playing in F (the 2nd scale degree), B when playing in Ab major (the 7th scale degree), and so forth. What could be more onerous? Given that American music schools enroll students from across the globe, I see an advantage to all of us using the same fixed-do system. 2. Fixed-do solfège adapts to any kind of music, tonal or otherwise. Movable-do is a square peg in the round world of non-tonal repertoire. And non-tonal styles of music have been prevalent in the West for more than a century (consider Debussy, for instance), which makes the movable-do system something of an anachronism for performers of modern and contemporary music. That said, many educators find movable-do beneficial for musicians who work within tonal boundaries. 3. 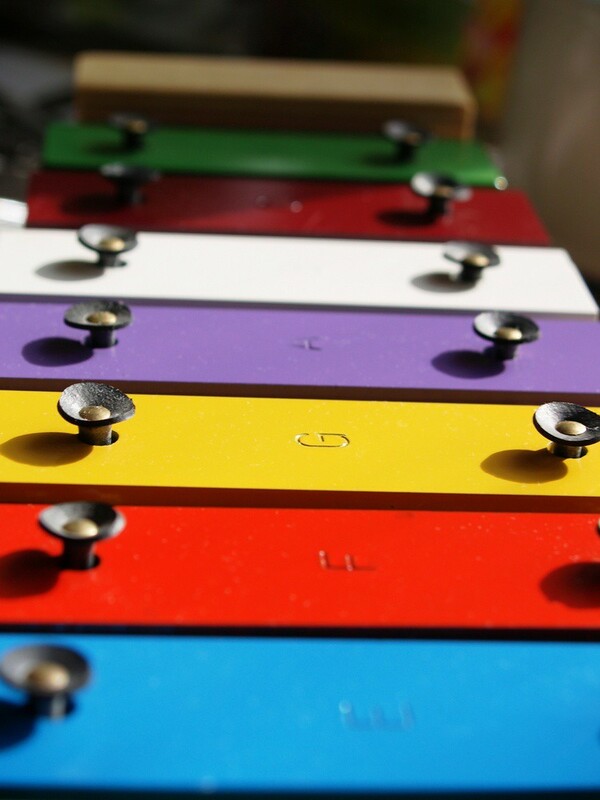 Movable-do highlights scale degree function; it underscores pitch relationships and therefore can help some musicians tune the intervals that they play or sing. Nonetheless, numbers can serve that purpose quite well, too. Furthermore, when we label scale degrees, we naturally use numbers. For example, in Bb major, D is the 3rd scale degree: It’s “three.” If students are taught movable-do solfège, they typically learn two systems for thinking about scale degrees: numbers and movable-do syllables. Perhaps that isn’t a problem, but, to me, it seems more practical to use a single system – numbers. 4. Solfège syllables are ideal for vocalizing, especially compared to letters, so they facilitate the expressive singing of instrumental melodies. Fixed-do also aids in correlating notation with technical execution (e.g., the low string on a violin is always “sol”), plus, it can help with memorization due to the fact that note names and their technical requirements remain consistent. Of course, singing scale-degree numbers supports memorization, too, because it reinforces melodic function, so movable-do can also fuel memorization. But assuming that each of us will only use one solfège system, I’m inclined to go with the tradeoffs that fixed-do supplies. Before I sign off, let me say that I not only employ fixed-do solfège but also use chromatic syllables (i.e., F# is “fi,” etc.). When I learn a solo piece, for example, I solfège all of the voices, and I memorize without trouble. It’s often more difficult for me to forget a composition than to remember it. Needless to say, we all differ in our learning styles, so I’m not advocating fixed-do or chromatic syllables for everyone. And I don’t require all of my American students to employ solfège, nor do I give solfège a place of prominence in The Musician’s Way. But I have no doubt regarding the benefits that I’ve derived from adopting fixed-do early in my education and later, after being exposed to the work of pedagogue Aaron Shearer, slotting in the chromatic syllables. In sum, performers who are comfortable using movable-do solfège probably do well to continue using it. For those who have no history with solfège and ordinarily label pitches with letters, if they enroll in a school that requires movable-do, using that system might boost their learning of tonal music theory and help them in other ways. Some students who are accustomed to letter names won’t feel comfortable with either solfège system. For me and most of my students, though, fixed-do solfège has become a native language that allows us to effortlessly integrate expression, notation, and technique. For this and other reasons, I’m sticking with fixed-do. Related posts are tagged Musicianship. *Update: In 2012, I left UNCSA for a position with the Peabody Conservatory. My brother suggested I may like this website. He was once entirely right. This publish actually made my day. You cann’t consider simply how so much time I had spent for this info! Thanks! First, you have written a fine book which I have recommended to many of my students – Bravo! Weighing in on the Solfege battles: on May 23, 2010 David Malek wrote about studying with Larry Scripp. I too studied with him many years ago, before he became a researcher and head of NEC’s Music in Education program. He is, without a doubt, one of the great influences in my musical life. I too would love to see the research that Mr. Malek mentioned. 1. It most closely mimics what we do on our instruments: when I play an Eb major scale on my instrument, I don’t think of it as a transposed C major. I still have to press the correct valve combination to produce that Eb. I still have to know that there is a half step between G and Ab. 2. It is very good for transposition and score reading. After years of struggling with transposition (the bane of brass players! ), after I learned the clefs in fixed do I found the skill to suddenly make a lot of sense and my reading ability (both in transposition and ‘in C’) to be greatly enhanced. And my score reading became much more proficient. 3. I have taught moveable do in a limited way – it is true that it teaches the function of the scale, especially at the beginning level, and does it well. But as you move up the ladder of more complex music, it becomes more and more difficult and convoluted to use it. 4. The argument is that the fixed do system is bogus because ‘Do’ refers to all forms of C (C#, Cb, etc) belies that fact that use of this system is about reading patterns of notes (really, note heads),in all clefs. A book that is not often used is in French – Dandelot’s ‘Manuel Pratique’ – which is not used to hear pitches or rhythms, but to recognize patterns of pitches through all seven clefs. This aspect of solfege is hardly ever discussed. Most people argue for the system that they grew up in, thinking that it is the most perfect way to perceive and learn music. I learned my aural skills via three different system (for a short time, moveable do), and it wasn’t until Larry worked with me on fixed do that it made sense. I have seen that with my students – even those who resist at the beginning of the course because they grew up in moveable. closely imitates instrumental technique, is good for transposition as it is applied to instrumentalists, is good for score reading, is excellent in taking care of the first thing in music literacy – the recognition of notes and patterns, and can be used to quickly learn a piece of music so one can concentrate on actually playing or singing the music. Moveable Do is very good to emphasize the theoretical aspects of music – the importance of the half steps, singing in modes and so on. Even so, I teach fixed do with a constant emphasis on the scale steps, no matter what key we are in. The analogy stated elsewhere in these posts that this really sounds like warring tribal factions is very true. While I am pretty convinced that western music will not fail if everyone starts to use moveable or fixed do, numbers, or some other invented system or non-system, it would be nice for everyone to take a deep breath, and live with the fact that some people prefer one over the other. Thank you for your stimulating blog site, and again for your inspiring book. 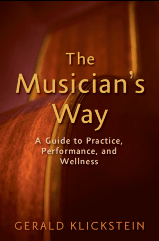 Linn – Many thanks for your thoughtful, articulate comment and your kind words about The Musician’s Way! The examples you give powerfully illustrate how and why a dedicated artist-teacher uses solfege. We all benefit from your insights and experience. Thanks for writing book. I not yet read til the end of the book. But I have difficulty in fixed-do. I am born with moveable-do system. Whenever I heard a song, I can sing it in moveable-do system. But now, I have difficulty to transpose the moveable-do song in my mind to A-G note on instrument. That’s the reason I hope to overwrite my moveable-do system with fixed-do system. But I can’t find a good lesson/practise around the world. Could you give me any suggestion? Hi Kit – Thanks for reading and for contributing your excellent question. If you’ve used moveable-do for such a long time, then there’s no easy way to overwrite your habits. Maybe singing letter names would be more practical than attempting to rewire your brain to use fixed-do. Use your judgment and trust your experiences as you experiment. I invite you to comment again and let us know how your work progresses. Nice to see that there are more people out there thinking about solfege! Thanks Dario. I appreciate you stopping by.